All five of these apps were designed by the teen winners of the "Change The Game Design Challenge" by Google. Google challenged thousands of teenage girls to design games they wanted to see in the world. And now some of their games are hitting the Google Play store for Android users to play. 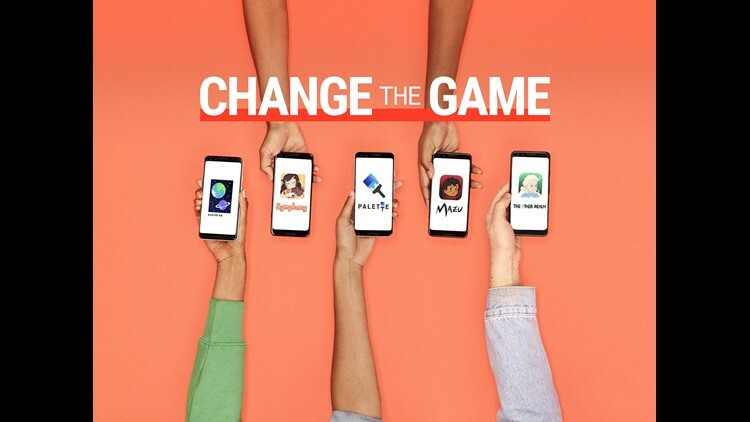 Last spring, Google launched the Change The Game Design Challenge contest, with five finalists chosen by a panel of guest judges and Google employees. The grand prize winner was an 11th grader from Vancouver, Washington, named Christine, and she received a $10,000 college scholarship and a $15,000 technology contribution to her school. (Last names have been withheld to protect the girls' privacy). Her game, “Mazu,” is about a shape-shifting young girl’s journey through a danger-infested forest. Other games include "The Other Realm," a self-identify focused puzzle game developed by 14-year old Lily in Poplar, WI, and "Palette," from Lauren, 17, in Birmingham, AL, described as a game to simulate "the eternal struggle of every artist: finding the right color." Google was motivated by the fact that while half of mobile game players are women, only about a fourth of females actually create such games. The timing of the games’ availability in the Play Store on Thursday is tied to National STEAM Day, an effort to get kids interested in Science, Technology, Engineering, Art and Math. All the games can be downloaded for free. 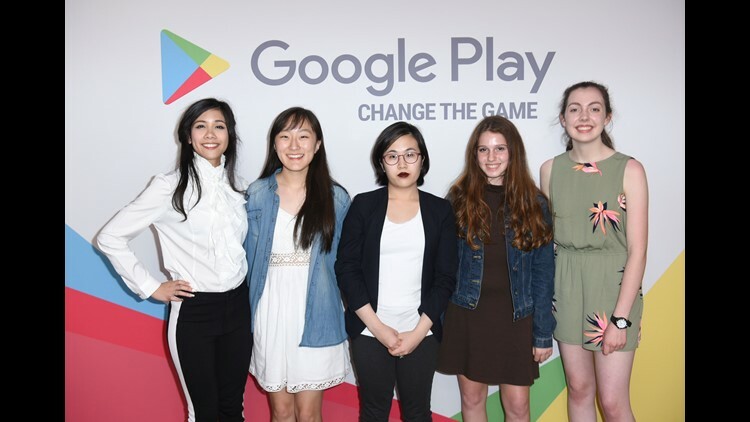 The five teenage finalists of Google's Change The Game Design Challenge. Grand prize winner Christine, 17, detected a clear distinction between games made for girls and games made for boys. “As an aspiring artist in the gaming industry, I don’t want to repeat this cycle of gender-based pandering in the future,” she said. Her goal instead was to create a challenge that could be enjoyed by either gender. Another finalist, Dakota, 14, from Encino, Calif., created “EcoVerse,” a series of mini-games in which you are meant to clean, plant and bring animal life to planets as part of a Galactic Restoration Team. To help build their respective games, the finalists worked in partnership with the Girls Make Games’ development studio LearnDistrict and a team of artists, programmers and producers. All five were awarded with a trip to Los Angeles last June to attend the E3 gaming conference, along with an Android tablet, and a scholarship to Girls Make Games summer camp. The girls won’t receive any additional compensation for their apps.